What is NTRP Tennis Rating System? What is USTA and How its Rankings Work? What is Universal Tennis Rating or How Does Universal Tennis Rating Work? How Often is Universal Tennis Rating Updated? How Does USTA Calculate Rankings in Tennis? When USTA Rankings Get Updated? Who are Eligible Players in USTA Rankings? What is a Good Tennis Rating? What is Dynamic Tennis Rating System? How to Improve or Move Up Your USTA and UTR Tennis Rating? Hey friends, today I am trying my best to explain to you what does NTRP mean and what is its significance as a Tennis Rating System. Basically, NTRP stands for National Tennis Rating Program. Actually, the main function of NTRP is to rate the tennis players according to their playing capability, potential and reputation. It is an official governing body which manages the rating program on the basis of 10-point system for different types of tennis players across the nation. Whether you are a beginner level tennis player or an experienced player, your rating scale is calculated depending on your actual tennis skill levels. This classification system rating is really essential to improve your overall gameplay. Because your real tennis rating helps you to identify the player which is at the same level as yours and it immensely benefits in practicing with such players so that you can enhance your overall tennis game skills. USTA stands for United States Tennis Association. It is USTA organization, the main national governing system for tennis game in US, which forms NTRP system in 1970s. The game of tennis was starting to become popular in those days across US. Therefore, USTA started USTA Tennis League Program across the nation. The establishment of this league system tremendously helped the association to set different measures for player rankings. It greatly helped the association to measure the tennis rankings beyond the traditional beginner, intermediate and advanced level players. These kinds of Tennis Leagues and Tournaments helped not just the adult players but teenagers and kids to identify their actual tennis skill levels and to enhance their gameplay to maximum level. USTA formulated one of the best tennis rating systems in the world in the year 1978. According to this NTRP system, the player rankings are defined on the basis of scale from 1.0 to 7.0. If you are a tennis player who wants to know your actual tennis rating level then you also can determine your skill level by reading these tennis rating scales. Read the short version of NTRP system from NASA’s Government site. Watch the following video where you will learn more basic things about USTA Rankings and its actual rating methodology. UTR or Universal Tennis Rating is a global tennis rating program for international tennis players. If you want to compare your tennis skill level with the other international players, UTR is the best tennis rating system in the world. The players are ranked on the basis of the numbers which range from 1.00 to 16.50. There are 3 main ranking factors on the basis of which the tennis players are given these numbers. Those factors are score, competition and recent history. The score is based on your total winning percentage of the games. The competition factor is dependent on the strength of your opponents. And the history is taken into account for the last 30 matches you play in the previous year. UTR is exclusively calculated on how many games you play and win on head to head results. When you compete against the best tennis players in the world with higher Universal Tennis Rating, your rating improves a lot. 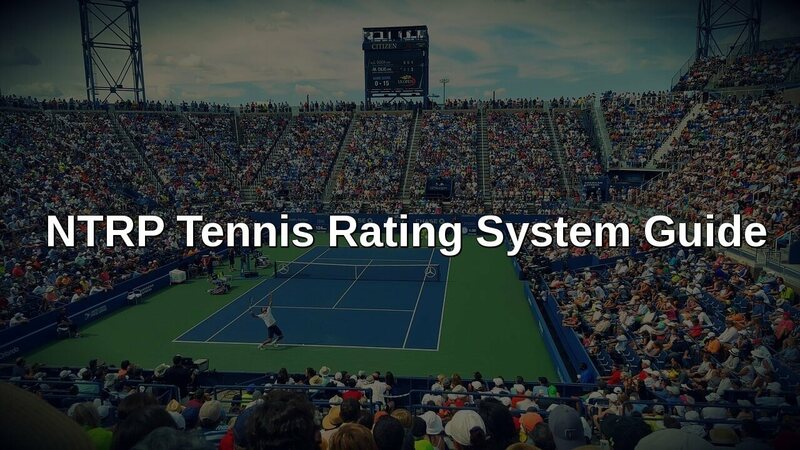 Whether you lose or win against top players, your rating tends to improve according to this UTR system. Every tennis professional player who is included in the Association of Tennis Professionals (ATP) and the Women’s Tennis Association (WTA) get Universal Tennis Rating of his/her own. Also, if you are a part of international level adult tournaments or tennis leagues or worldwide Junior Tennis Tournaments, then also you are eligible to get UTR of your own. E.g. The top 2 world tennis players for 2017-year end were Rafael Nadal and Roger Federer. Their UTR was above 16. If you compete against these players, obviously your UTR will increase for sure. It is not dependant on your age, gender or nationality which matters when you consider USTA rankings. Therefore, by knowing and improving your UTR, you truly learn and master the game of tennis on the global level. For more detailed information on Universal Tennis Rating (UTR), kindly watch the following video. According to MyUTR.com FAQs, Universal Tennis Rating gets updated on a weekly basis. The system database gets updated every week and the player rankings are displayed on their website the following morning after the update has been performed. The prime objective behind creating USTA tennis rankings is to learn and improve your tennis skills. It must be a fun experience for you and you must be able to compete against the player which is at the same level as yours. That is why these USTA rankings are important for any tennis player like you who wants to enhance his/her game skill levels. You can check your own ranking at the website of USTA. At this website, you can create a free USTA account and then self-rate your own tennis skill level. You can find the NTRP ranking chart by clicking here. It is also recommended for you to check out general and experienced tennis player guidelines at this website. There are in total 11 ranking levels for all kinds of tennis players. These rankings are based on your tennis playing skills and experience. Rankings are calculated from 1.0 to 7.0. I will provide you a short information regarding these rankings in the following section. 1.0 - This level indicates a beginner stage. If you have just begun practicing tennis, then your ranking falls under this category. 1.5 - At this stage, no tennis player is still ready to play the actual tournament or league matches. 1.5 level player is the one who has a basic experience playing different strokes and handling the tennis ball properly on the court. 2.0 - If you want this ranking, then you must exhibit some proficiency playing tennis on the court. You must spend few required playing hours on the court. If you are still struggling to find proper positions in singles and doubles matches, then you fall under this ranking. If you have some difficulties handling different strokes and contact points on the court, then you can self rate 2.0 rank. 2.5 - 2.5 rank is for those tennis players who are now at the stage where they can comfortably handle a backcourt rally of slow pace when playing with other players who are at the same level. If you still have limited swing capability and unable to consistently toss on serve, then you can consider at this level of rank. Also, if you face issues like weak grips and limited net transitions then also this is the right category for you. A player at this rank can comfortably guess the amount of swing which is required to return it without any issues. He or she can also easily be able to guess the movement of the oncoming tennis ball. 3.0 - At this level, the tennis player is much more comfortable with medium paced tennis strokes. But, he/she is not yet comfortable or consistent with many other shots. If you are still weak in maintaining the pace or distance of shots or if you have less control over your depth of shots and direction of shots, then you can self-rate yourself at 3.0 level. Above the net height, the players at this level still face some difficulty handlining the shots. 3.5 - The main feature of the player at this stage is his/her mental strength and ability to focus on the game tactics. If you are a player who is able to utilize the right game tactics and tennis strategy at the right time, then you can count yourself at 3.5 rating. On medium tennis strokes, such players can achieve balanced shots with right directional control. But these players are yet to achieve the ability to change their distance of shots. They also lack some varieties and little depth in their strokes. In doubles matches, these kinds of players can prove their worth by utilizing their developed teamwork habits. But they somehow yet to master the art of playing overheads, lobs, approach strokes, as well as volleys. 4.0- At 4.0 skill level, the tennis player has developed very good second serve ability and he also very well knows how to get finish points at the right time. The serving ability of this player is immensely improved as compared to the 1.0 to 3.5 level players. Errors he/she makes are low in numbers but you can say that the patience factor is yet to reach a satisfactory level. If this player is playing moderate paced game, then he can show his ability to implement various depth of strokes on not just forehand but also on the backhand sides. Such a player at this level is also good at different tennis shots with more control on his/her every stroke. We can also say that this kind of player is more proficient at the tennis shots such as volleys, lobs, approach shots and overheads. 4.5 - At the rank of 4.5, a tennis player becomes very proficient at tennis serving and winning those serves. Such a player, due to many years of practice, becomes an expert tennis professional who can overcome most of his/her weaknesses during the game. These players often play very aggressively in doubles matches due to their expert level. As per the player’s strong and weak factors, he/she can adapt the game plan and can comfortably control his/her depth of tennis strokes. Such kind of player can easily handle pace and spins wherever necessary. First and second serve to some extent can be played with more power by such level of players. However, they often end up overhitting on more tedious strokes. 5.0 - At 5.0 level, the player becomes pretty confident while playing aggressive volley and half-volley shots right from the mid-court. At this level, your physical and mental strength becomes top notch as compared to the other lower ranked tennis players. He/she can identify his/her weaknesses and can comfortably overcome or hide them wherever necessary during the game. The player almost becomes the master player for tennis strokes such as drop shots, approach shots, lobs, overheads, volleys and half volleys, etc. You acquire pretty good depth as well as spin for almost every second serves you perform at this stage. You also become the master player who can consistently hit winning shots and can easily handle volleys and short balls. Very good shot anticipation and mastery over handling major tennis strokes is something which becomes your speciality at 5.0 rank. 5.5 - At 5.5 rank, you become an expert offensive tennis player. In every competitive leagues and tennis tournaments, you can implement different styles, strategies and gameplay tactics whenever required during the game. You can also handle and manage first and second serves efficiently in the game. Right pace and consistent performance is what characterise the player at this level. In most tense and stressful situations during the game, such kinds of players can handle their stress very well and overcome the odds whenever required. 6.0, 6.5, 7.0 - If you want rank of 6.0, then you must have extensive experience and training for playing national tennis matches and top college level competitions. You must also possess a national tennis rank based on your past performances. 6.5 and 7.0 are the top ranks of NTRP tennis rating system. These ranks are only awarded to top class tennis players who have proved their merit through world class tennis league matches and tournaments. So, this is how you can decide USTA ranking levels. I recommend you to study this ranking system carefully and then self-rate yourself based on your past gameplay performances and experience level. Basically, there are 3 main rankings that are published at the website of USTA every year. 1. 12 Month Rolling Standing List: First ranking is called as “12 Month Rolling Standing List”. This ranking is published every week. So, on a weekly basis, this list is updated. The ranking for this list is based on the sum total of your 4 best tennis tournament results that you have played in the last 12 months. 2. Standing List: The second ranking is known as “Standing List”. This standing list is updated every month. This ranking system is based upon the total sum of your 4 best tennis tournament results that have been played from the last year to date. 3. Final Ranking: And the last ranking system is called as “Final Ranking”. This final ranking is published or updated every year after the last year results. This ranking takes into account your total tournament results for the last year which ends on 31st December of that year. There are certain qualification criterion when it comes to become eligible for USTA rankings. If you want to be eligible for these rankings, then you must achieve minimum ranking criteria of USTA, as simple as that. Again, these rankings can differ based on whether you are playing sectional matches or national league matches. E.g. If you want to be eligible for adult age group tennis rankings, then you must have been participated in any one of the Category I national tennis league or tournament matches. You might get enrolled as “Ineligible” rankings, if you have played only Category II tournaments and have achieved very few match points. And if you want Sectional rankings, then you must meet the criteria of same place of residence where the tournaments take place and number of points you have gained during those matches. For more information, please refer to this Tennis-Warehouse.com forum discussion. The major factors that decide your eligibility for USTA tennis rankings are provided as follows. 1. Age: Age is considered as one of the major factors for eligibility in USTA. Whether you compete in Junior Tennis Tournaments or Adult Tournaments, your “Month of Birth” is taken into account for USTA-approved tournaments. This same age factor is applicable to all kinds of local, district, sectional and national league and tournament rankings. However, this “Month of Birth” age factor is not applicable to ITF and USTA International Tournament rankings. These international tournaments consider “Year of Birth” for age eligibility. 2. Membership of USTA: The second most important factor required to get USTA rankings is to become USTA member yourself. The USTA membership is essential if you want to participate in USTA national tennis tournaments, national doubles championship matches, USTA national level 2 and level 3 tournaments. 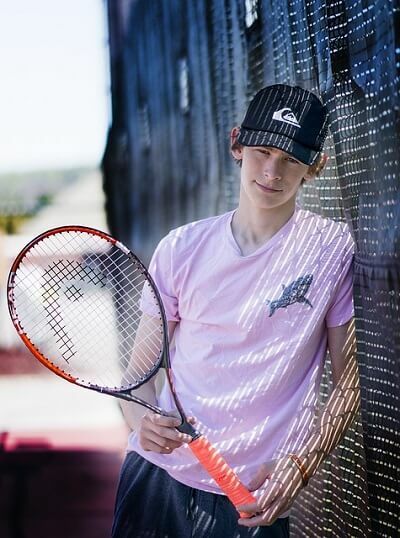 You also need this membership if you want to compete yourself in additional Junior Tournaments, USTA National Spring Team Championship matches, intersectional team tournaments, national team tournaments along with USTA Zone Team Championship matches. Even if you want to compete on the international level like ITF tournaments and USTA International Tournament matches, then also you need to have good rankings in USTA. And for that purpose, you first need to be an active member of USTA organization. 3. Professional Players: If you are playing tennis as a professional player and if your age fits in the age eligibility criteria of USTA, then also you can participate in all of USTA approved tennis tournaments and league matches. 4. Residential and Citizenship Eligibility: If you are an adult or junior tennis player, then you must also meet few residential and citizenship criteria. Some of those criteria include being the permanent resident of United States or diplomats who are residing in US for more than one year and so on. To understand these residential and citizenship eligibility, kindly read more information about USTA rankings, on their official eligibility requirement page. We have already discussed about NTRP guidelines about tennis player rankings above in this article. As per these ranking guidelines, the best tennis rating is 6.0 to 7.0. So, 6.0, 6.5 and 7.0 are the best scores which can only be awarded to international and world class tennis players like Rafael Nadal, Roger Federer, Grigor Dimitrov, Alexander Zverev, etc. WTA rankings and ATP rankings for these kinds of players is often very high as compared to the other regular tennis players like us. But if you are a medium to advanced level tennis player, then you should always aim for the score of 5.0 and higher. This can be considered as a Good Tennis Rating as per my tennis knowledge. Many beginner tennis players get confused while understanding dynamic tennis rating. In simple words, it can be described as a more advanced tennis rating system which keeps generating the player rankings after every tennis match they participate. This system generates new ratings and rankings on a regular interval for the player whenever they play new matches throughout the year. I believe this dynamic tennis rating is much more relevant and accurate. Because, regular NTRP rating system calculates your rankings on a month to month or year to year basis. On the other side, Dynamic Tennis Rating takes into account your current match results and averages it with your last 3 most recent dynamic ratings produced. Therefore, this rating always keeps on changing after every tennis match you participate. For more information regarding Dynamic Tennis Rating, kindly visit USTA Network’s Dynamic NTRP FAQ page. You must have known by now that the margins for improvements in the game of tennis are very small. You can certainly up your game skill level by implementing certain improvement techniques for your tennis strokes, your tennis fitness, your mental strength and your overall gameplay strategy. Now how to achieve that? That is what you will learn to master from your head coach and other fellow tennis players who are above in the rating as compared to you. You can follow these techniques to improve your tennis rating may it be USTA rankings or UTR rankings. 1. Improve Your Tennis Fitness First: You can enhance your physical fitness by performing daily exercise routines such as stretching workouts, strength training exercises, by performing footwork drills, agility drills, sprints and shuttle runs on the tennis court. These exercises are best for improving your agility, endurance and speed in the tennis game. You also must follow a healthy diet and nutritional plan to improve your metabolism and overall body fitness. 2. Improve Your Mental Focus and Strength: Training with your head coach and more experienced tennis players will provide you enhanced mental strength. You should learn yourself how to focus on the ball while serving and how to maintain your calmness during the match. The fear of losing the game, nervousness and mental pressure are the things that must be overcome from you if you want to master your mental focus. Learning to overcome in-game distractions and giving respect to your coaches, fellow players and opponents is very essential to obtain mental strength in the game. 3. Improve Your Tennis Shots: Consistent focused practice and few important tennis drills is what you basically need to improve your tennis strokes. Practicing tennis serves every single day is utmost important if you want to master the art of serving in tennis. Learning to master serve is critical in tennis if you want to up your tennis skill level and for that purpose your tennis rating. I recommend you to at least perform 40-50 serves everyday and give a rest for one day in a week. You can also try hitting 10 to 20 serves to every tennis court corner. Practice various other strokes such as volleys, half volleys, backspin, topspin, approach shots, etc. on a regular basis. Whatever shots you are weak in, practice them more regularly and focus on improving those strokes first. Also, practice backhand and forehand play style often if you lack in any one of them. Practice more agility and footwork drills that aid in improving your tennis strokes. 4. Master the Basics: More often, lacking in mastering the basic tennis techniques is the root cause of all evils. You can’t beat the basics because basics are always basics. If you know your basic tennis skills well, then you can certainly improve your tennis skills and tennis rating faster as compared to the other fellow players. Try adding one new stroke in your game every week or a month. Master its basics with regular practice. And finally, you can improve your gameplay tactics and strategies by improving upon your basic tennis skills. For more advanced tips, please refer to this article from University of Pennsylvania Head Coach, David Geatz. In this complete guide, we learned what is NTRP tennis rating system. You also finally learned what is USTA and UTR rankings mean. You came to know a lot about actual ranking guidelines for NTRP tennis rating system. You have also become aware about when these USTA and UTR rankings are updated. Then you also learned about main eligibility factors that are needed to get USTA rankings. Finally, we learned what is dynamic tennis rating and what is a good tennis rating. In the end, we touched upon the main techniques that are essential to improve or enhance your tennis game skills and for that matter your tennis rating. I hope, this guide has helped you to understand more about NTRP, USTA and UTR rankings and rating system. I wish you best of luck for your tennis career.